John 12:12-19 (Part of the God In Person: series). Astrid Vaswani on 14th April 2019 (Sunday Morning). John 5:1-15 (Part of the God: in Person series). Paul Vaswani on 24th March 2019 (Sunday Morning). Job 29:1-30:1 (Part of the Stand alone sermons series). Astrid Vaswani on 17th March 2019 (Sunday Morning). John 4:43-54 (Part of the God: in Person series). Paul Vaswani on 10th March 2019 (Sunday Morning). John 4:1-42 (Part of the God: in Person series). Astrid Vaswani on 3rd March 2019 (Sunday Morning). John 3:22-36 (Part of the God: in Person series). Rob Ainslie on 24th February 2019 (Sunday Morning). John 3:1-21 (Part of the God: in Person series). Astrid Vaswani on 17th February 2019 (Sunday Morning). Paul Vaswani on 10th February 2019 (Sunday Morning). John 2:12-25 (Part of the God: in Person series). Paul Vaswani on 3rd February 2019 (Sunday Morning). John 2:1-11 (Part of the God: in Person series). Astrid Vaswani on 27th January 2019 (Sunday Morning). John 1:35-51 (Part of the God: in Person series). Paul Vaswani on 20th January 2019 (Sunday Morning). John 1:19-35 (Part of the God: in Person series). Astrid Vaswani on 13th January 2019 (Sunday Morning). John 1:1-18 (Part of the God: in Person series). Paul Vaswani on 6th January 2019 (Sunday Morning). Luke 15:11-32 (Part of the Stand alone sermons series). Peter Howlett on 30th December 2018 (Sunday Morning). 2 Timothy 3:1-17 (Part of the In Conclusion series). Astrid Vaswani on 9th December 2018 (Sunday Morning). (Part of the Dedication series). Paul Vaswani on 2nd December 2018 (Sunday Morning). Paul Vaswani on 25th November 2018 (Sunday Morning). 2 Timothy 2:1-26 (Part of the In Conclusion series). Astrid Vaswani on 11th November 2018 (Sunday Morning). 2 Timothy 1:13-14 (Part of the In Conclusion series). Astrid Vaswani on 4th November 2018 (Sunday Morning). 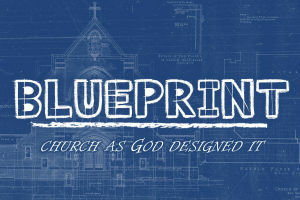 (Part of the Blueprint series). Astrid Vaswani on 21st October 2018 (Sunday Morning). Paul Vaswani on 14th October 2018 (Sunday Morning). Rev Andy Mills on 30th September 2018 (Sunday Morning). Astrid Vaswani on 23rd September 2018 (Sunday Morning). Paul Vaswani on 16th September 2018 (Sunday Morning). Rob Ainsle on 9th September 2018 (Sunday Morning). 1 Corinthians 13:4-8 (Part of the Blueprint series). Paul Vaswani on 2nd September 2018 (Sunday Morning). 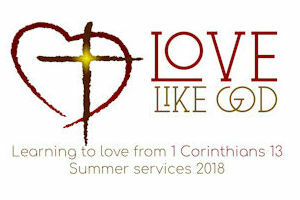 (Part of the Love Like God series). Astrid Vaswani on 19th August 2018 (Sunday Morning). Paul Vaswani on 5th August 2018 (Sunday Morning).